The Japanese attack on Pearl Harbor came as a pleasant surprise to the Nazis, who had not been told in advance of Japan’s plans. Today I’m adding the first reactions in the Nazi Party’s daily newspaper to the war’s extension. The argument is that Roosevelt has gotten the war he wanted, but not when it wanted it. As a tool of the Jews, he was planning to deal with Japan, but Japan acted first. By the way, I got a number of requests to a recent post looking for suggestions of things to add, and I will get to some of them as time permits. 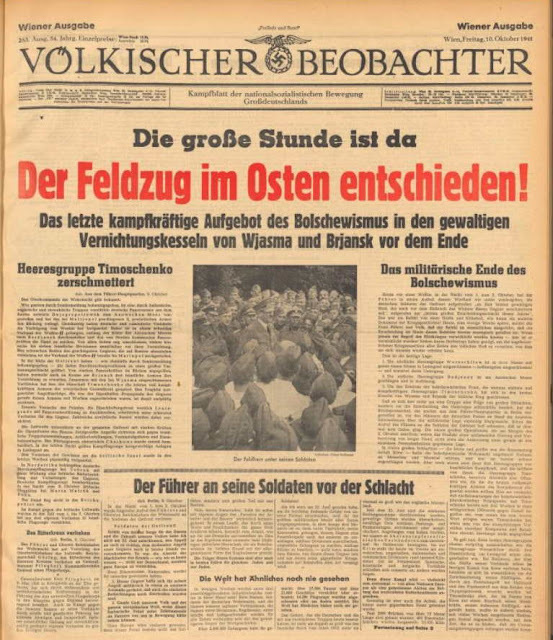 That amazingly valuable Austrian effort to digitize the nation’s newspapers has added the Völkischer Beobachter for the years 1939-1944. A week ago I asked if there were things people would like me to add to the site. This is my first response: Hans Frank’s 1934 speech on the Nazi legal system, delivered at the 1934 Nuremberg Rally. He shows up briefly in Leni Riefehstahl’s Triumph of the Will. I’ve noted requests so far and will over time see what I can do. My pace is not particularly fast — at this point I am traveling a lot — but things will appear as time permits. The German Propaganda Archive at this point has a wide range of material. I tend to add things that strike my interest at the moment. However, I am open to suggestions. Is there anything you wish were available on the site, but isn’t? Goebbels preferred to avoid claiming victory until there actually was one to claim, realizing that building up hopes only to dash them made for poor propaganda. One of his competitors in the Nazi system, Press Chief Otto Dietrich, was less cautious. In early October Dietrich ordered the press to claim the Soviet Union had been so badly mauled by the ongoing German offensive as to assure its defeat. 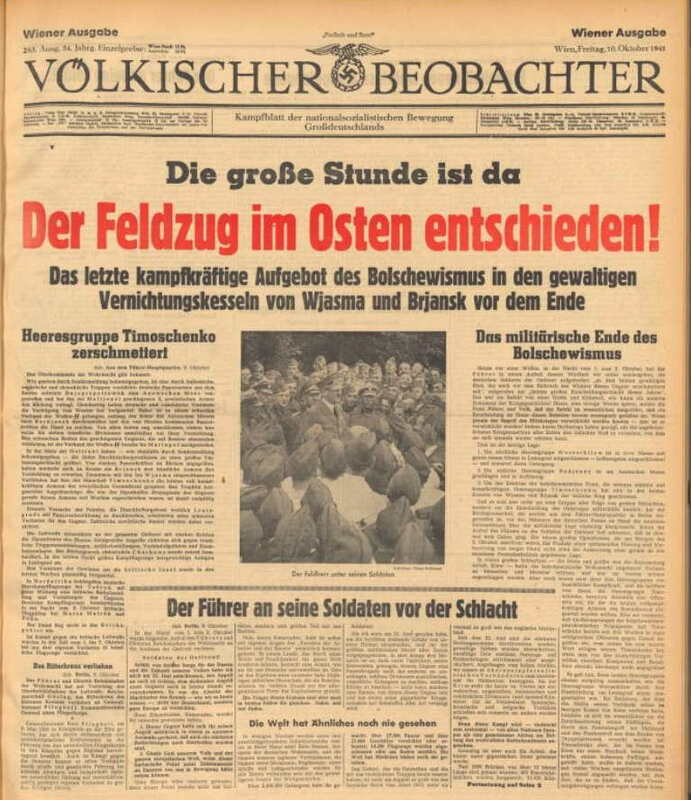 The result was this front page of the Völkischer Beobachter, the official party daily newspaper. Today I am adding a translation of the article claiming victory. 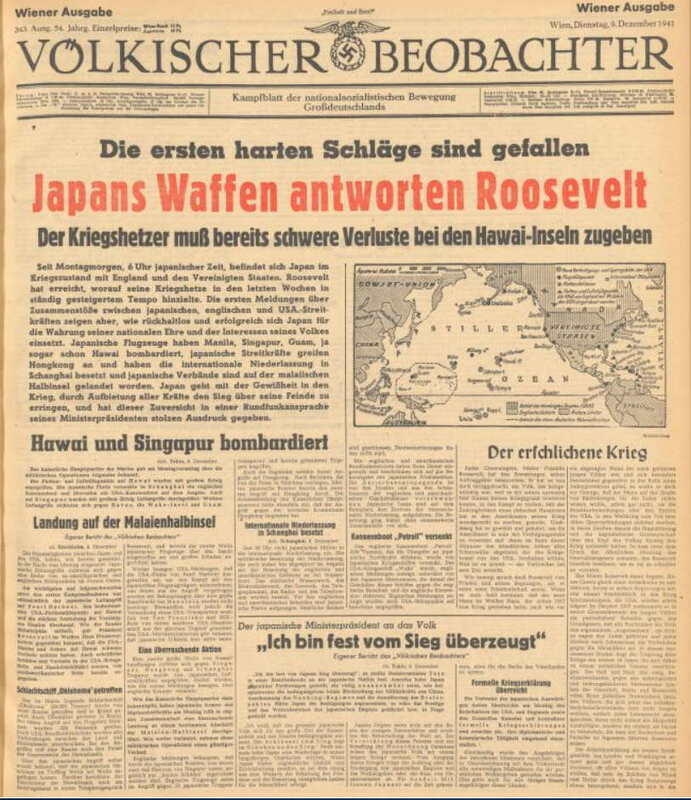 Other German newspapers followed suit. Before long, it became evident that however badly the Soviets had been defeated, they were not yet out of the war. It was still more than a year away from the German defeat at Stalingrad, perhaps the major turning point of the war. Today I am added what is probably the last speech by Gauleiter Eigruber of Gau Oberdonau, the Linz district (Hitler’s birthplace). It was delivered on 30 April 1945, about a week before American forces marched into Linz. He provides an update on the military situation, instructs the civilian population on what they are to do, and suggests between the lines that the Russians are a greater danger than the Americans. Sometimes an e-mail from a visitor to the site sets my curiosity in motion. Recently I received a question from a Russian scholar about Goebbels’s 1944 Christmas Eve speech, mentioned in one of Alexander Solzhenitsyn’s poems. I’d not looked at it before, so using that astonishing Austrian site that provides long runs of Austrian newspapers I found the speech, then wondered what he had to say a week later on New Years Eve. Today I am adding translations of his 1944 Christmas Eve speech and the New Years Eve speech a week later. 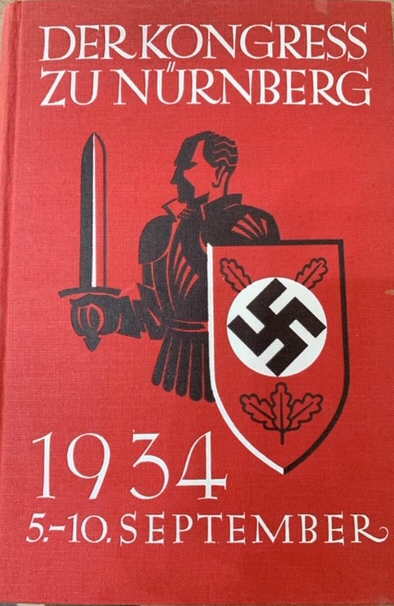 Goebbels had little to say based on facts, but he did his best to argue that since Germany had survived until then, it somehow had to win the war.